Adopting a pet into your family is a big adjustment, even if you’ve had one before. It’s fun to daydream about walks, cuddles and sleeping with your dog on the bed but there are some practicalities you cannot ignore. Your pets will get sick and need to go to the vet from time to time; their immune systems aren’t invincible, after all. There’s also the issue of desexing, vaccinations, and regular checkups. You can also pay for pet insurance. You will invest a lot of money in your pet during its lifetime, so be prepared. 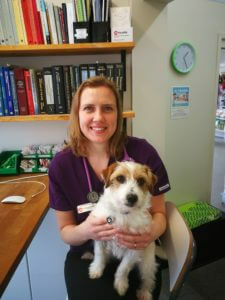 Our vets will give your companion the care it needs. Dogs need their walks, so if you’re only looking for a pet to keep you company around the house you’re better suited for a cat. 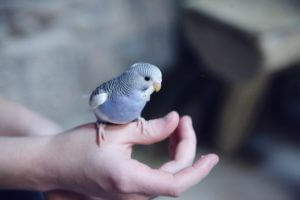 Birds need to be let out of their cage and fly around for both their mental and physical health. Is your house ready for pets? Cats enjoy high places and dogs need grass to play on. Go online or speak to one of our vets about the kind of pet that’s best for your current living situation. Before you bring the new addition home, go through the house and make sure it’s pet-ready. You might need to install a safety gate if you don’t want the animals upstairs. If you’re getting a bird, invest in a large cage, put it in a warm, sunny spot and stock up on newspapers to line the bottom. If you’re bringing home a cat, get a litter box with a couple of bags of kitty litter, food and water bowls, toys, and a scratching post. Dogs will need toys, a bed, some blankets for the cooler months, and a leash for when it’s walk time. Kids can get bored easily and will slack off in caring for the pet if you aren’t careful. 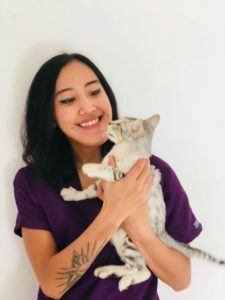 Playing with the cat or dog isn’t enough; this is a chance to give them important jobs to show them a pet needs to be given love and care, just like a human. If they’re old enough, involve the younger ones in walks and feeding time. Get them to wash the dog or brush the cat. Animals are more intelligent than you believe. They pick up on the emotions of their owners and the environment around them. This means if you’re stressed, excited, happy, or sad they will be too. Adopting a pet is a serious business that needs to be thought through carefully and discussed with the family. Who will be able to give it the love and care it needs? 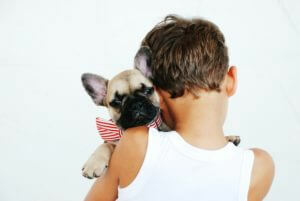 Will a pet positively impact the home or should you wait a few years?